Norwegian Graphic designer, Anders Drage designed this beautiful identity and packiging concept for a fictitious milk brand. 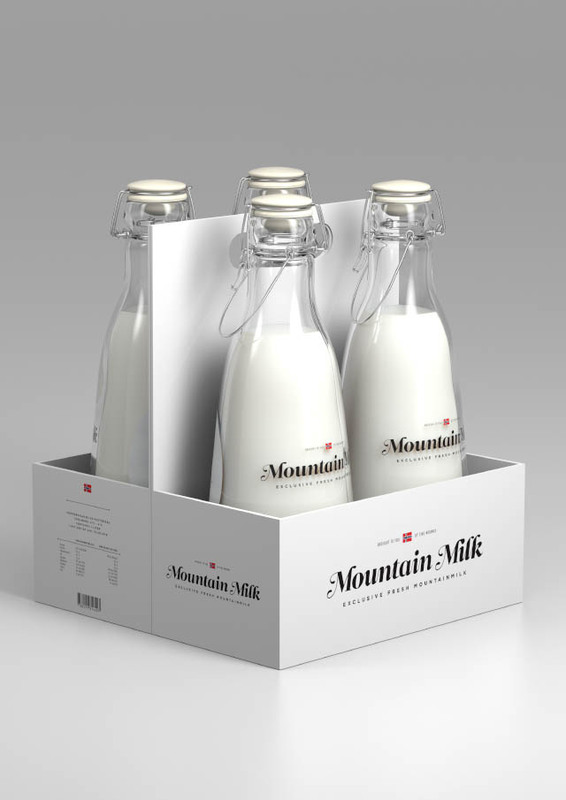 What a beautiful simplistic design! The brief for his exams was to make a packaging design of 'something you love'. 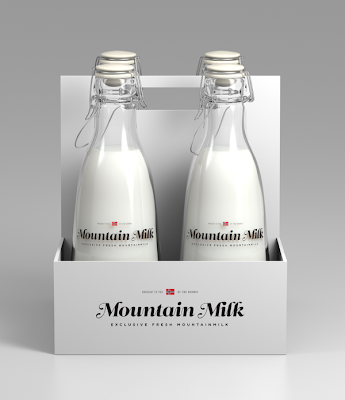 Anders loves milk and decided to develop a packaging for milk that comes from Norway. 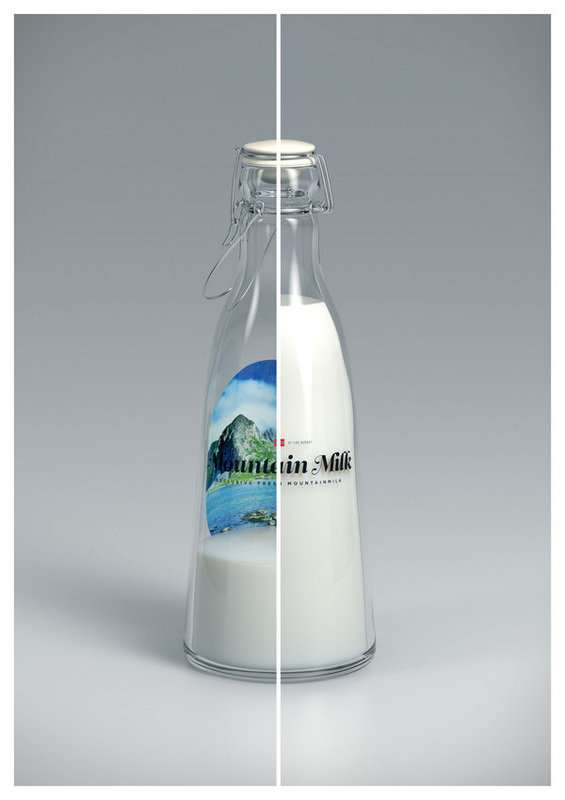 Because he also thinks that milk outside of Norway never tastes the same. 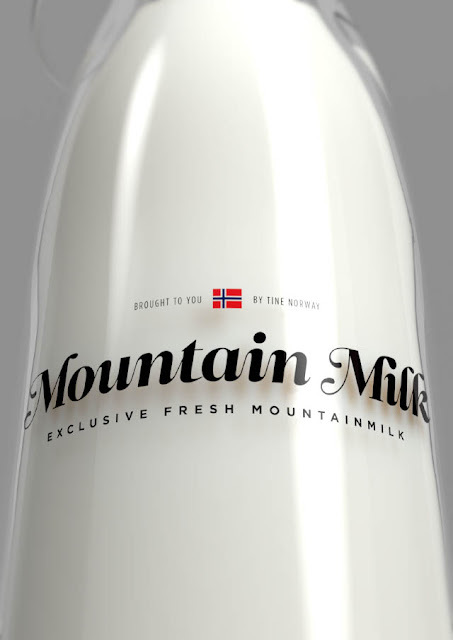 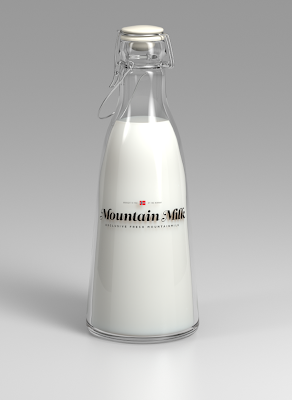 So how would an exclusive milk from the mountains of Norway look like if it was to be sold internationally? The solution gives you a warm and vintage feeling. 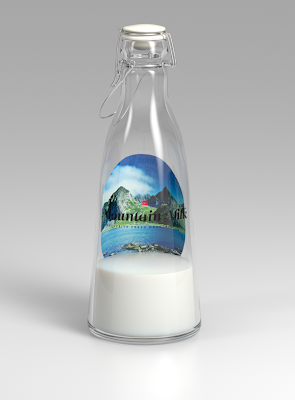 The typeface that "Mountain Milk" is set in reflects the roots of Norway, and the image that is revealed after you've had a glass gives you a picture of the nature in Norway!